Last league season I had the pleasure of playing alongside James Ward who is a top-100 player in England. James has a lot of strengths, but the shot which impressed me most was his backhand topspin. It’s what I would call a ‘pressure’ shot. He doesn’t try and blast his opponent off the table. Instead, he uses a short, quick stroke, loaded with topspin, and contacts the ball early to rush his opponent and put him under pressure. And it’s really effective. James helped our team finish 2nd in the top division and he won 50 out of 51 matches. I managed to do some filming with James over the summer and one of the shots we recorded was his backhand topspin. 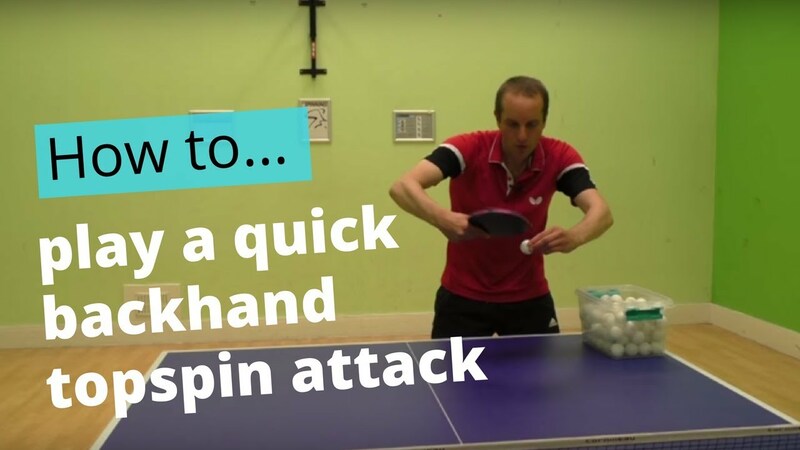 In this coaching video, I explain how to play a quick backhand topspin attack and how to use the shot effectively in matches. And there are plenty of clips of James using the stroke. Great video as always. Few players think about timing. You can really surprise your opponent your this type of shot. I see Harimoto Tomokazu utilizes this tactic quite often. I’m Lisa, i love ping pong and play it every weekend. This is great video! I like it. You are good coach. i will watch and practice to follow.